The fishing season for salmonids on Vipava river is now over. The fishes will finally get some peace from us till next 1.april. On the last day of this season the water was a little higher than normal, but without any difference on fishes behaviour. They were rising on small mayflies, so I used my f-flies and had good results. I also tried on bigger nymphs and also had some fishes. 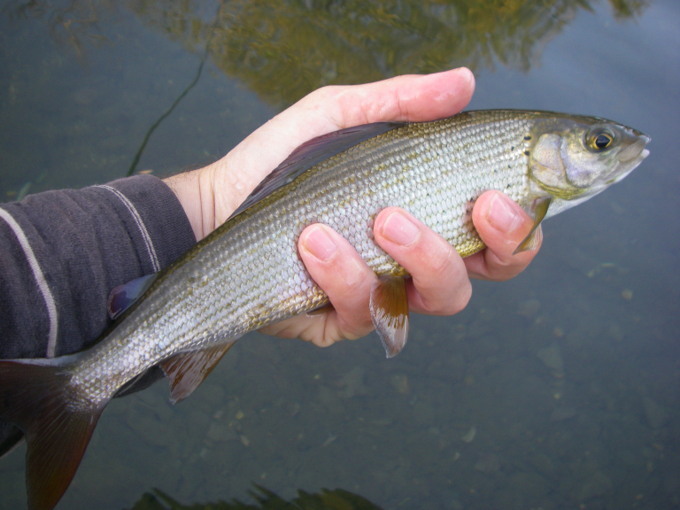 Rainbow trout and grayling were “on the menu”, and all of them are still swimming in the river. So this is it for trouts and graylings on Vipava river for this year. Till next season I salute you.